The Mobile Autonomous Robotic Systems Lab (MARS Lab) at ShanghaiTech University is dedicated to research on intelligent and novel algorithms, software and also hardware for various robotic applications. It was found in August 2014 by Prof. Sören Schwertfeger of the School of Information Science and Technology of ShanghaiTech University. The lab is dedicated to excellence in research and teaching in robotics and is part of the STAR Center. Additionally Prof. Schwertfeger and the MARS Lab are part of the Shanghai Institute of Fog Computing Technology (SHIFT). If you are interested in joining or visiting the lab, please refer to the respective advertisement on the openings page. The lab, student and professor offices are all located in the STAR Center. Please find the directions on how to reach the STAR Center here. The MARS Lab student Yijun Yuan 元祎君 went to Singapore to present our paper Fast Gaussian Process Occupancy Maps (PDF) at the International Conference on Control Automation Robotics & Vision (ICARCV). 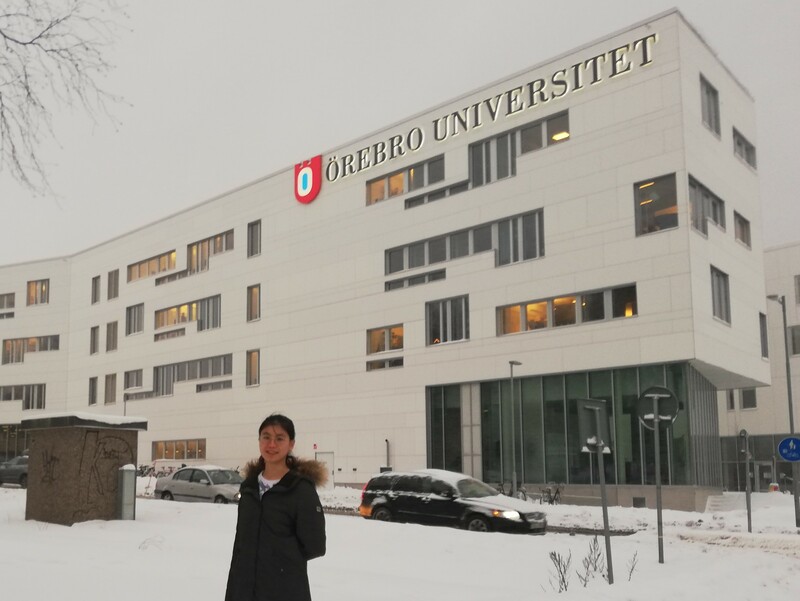 Also the PhD student Jiawei Hou is currently at a 6 month research visit to Oerebro University in Örebro, Sweden, where shejoined the Mobile Robotics and Olfaction lab of Prof. Lilienthal. She is staying there between August 2018 and February 2019. 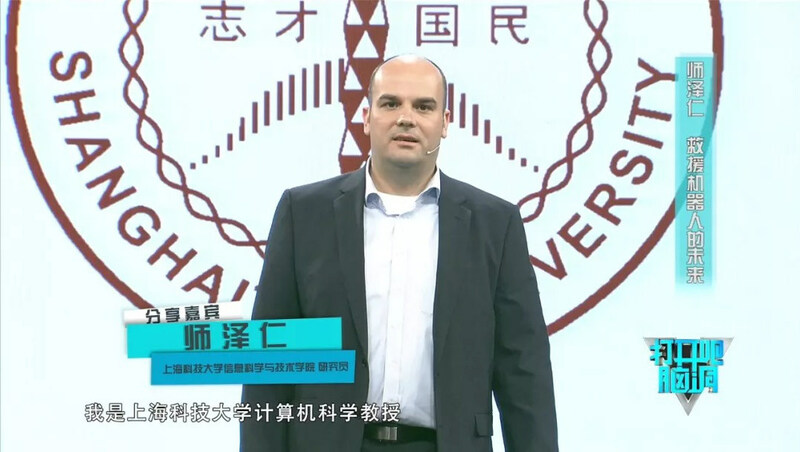 Prof. Schwertfeger was invited to give a talk (in German) about AI research in China at the Petersberger Gesrpäche 2018. This is a very high-profile conference for IT and Research Executives organized by the Comma Soft AG, a german IT consulting company. The conference was held at Villa Hammerschmidt, the (second) official seat of the German president. 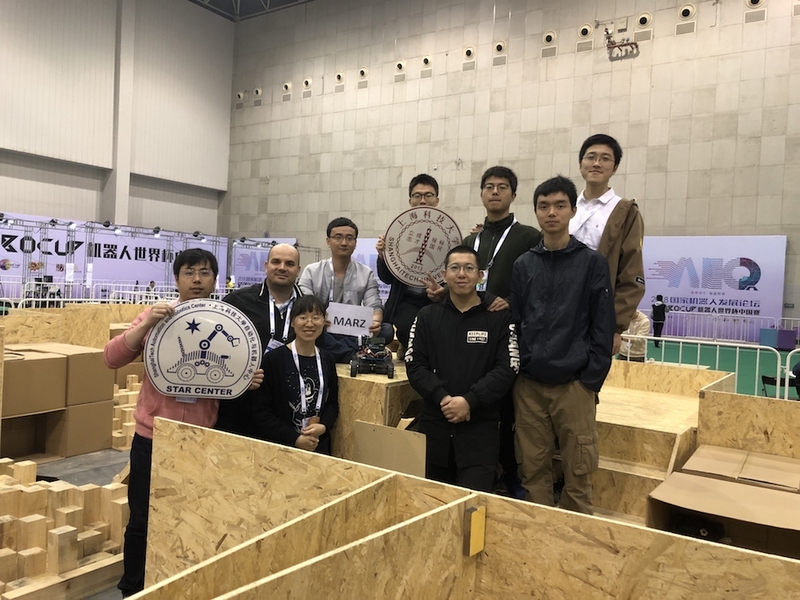 This years RoboCup China Open was held in Shaoxing, China, between April 12 and 14. The Mars Lab participated as MARZ (sic!) team. We all had a wonderful experience and learned a lot - we hope to participate in the international competition next year! The Shanghai Education Television Network (上海教育电视台) on April 13 aired an episode of a Science TV show called "Open the Mind" (打开吧脑洞). It starred three Professors, among them Prof. Schwertfeger from the MARS lab. He talked about the mapping robot and rescue robotics. The episode was actually already filmed in winter 2017. On March 23, 2018, the (newly renamed) MARS group had it's second annual group party! The news about the first party can be found here. First we went to the MoMo restaurant in Chantime and had some awesome "all you can eat" HotPot. Afterwards we went to the KTV and sang for three hours. Robotics Course Fall 2017 Project Videos online! The Robotics Course of Fall 2017 is finished. In the second half of the project the students worked in small groups to realize 12 different projects. Two of these project were actually supervised by Prof. Andre Rosendo. The course webiste lists the projects and provides links to the project reports and the project pages. Project topics range from 3D SLAM ( _1_, _2_, _3_, _4_, _5_), over maniupulation ( _6_, _7_) to mobile navigation (_7_, _8_, _9_, _10_, _11_). Most of the project pages also feature a video highlighting the work - go check them out! The January 18, 2018, issue of Nature includes a NatureJobs Carerr Guide: China. Among others it has an article called "China’s AI dreams" prominently featuring Prof. Sören Schwertfeger and his lab. It shows our Jackal Mapping Robot, that uses a Clearpath Jackal base together with some advanced sensors, like two Velodyne HDL32e 3D laser scanners and four 5MP Pointgrey cameras. Another picture is showing the PhD student Jiawei Hou and Prof. Schwertfeger working in the STAR Lab on antoher robot. ABB and the STAR Lab are joining in a collaboration project to make the awesome ABB Yumi collaborative dual arm mobile. The ABB Robotics Research Center China is located just 7 km from ShanghaiTech University. The STAR Lab under the guidance of Prof. Sören Schwertfeger is providing expertise on mobile robots, localization and mapping as well as planning and control, while ABB is working on the mobile manipulation aspects. See a picture of an early prototype below. The European Union Chamber of Commerce in China hosted an Artificial Intelligence Conference on November 16th 2017. Many interesting talks on the industry perspective related to AI were given by presenters from the Xuhui District Science and Technology Commission, the EU Delegation to China, Roland Berger, Baidu, Siemens and SAP. Prof. Schwertfeger was invited to talk about AI and robotics - from an academia perspective. Prof. Sören Schwertfeger has been appointed as an Associate Editor of IEEE Robotics and Automation Magazine, starting from January 2018. The Robotics and Automation Magazine one of the premier journals for the IEEE Robotics and Automation Society. 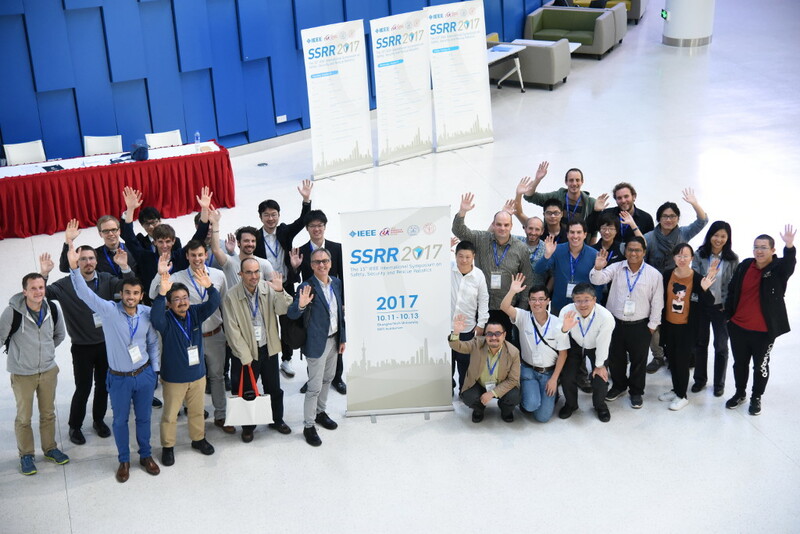 The 15th IEEE International Symposium on Safety, Security, and Rescue Robotics 2017 (SSRR2017) was held at the School of Information Science and Technology (SIST) of ShanghaiTech University between October 11 and 13, 2017. Prof. Sören Schwertfeger was the general chair of the conference.